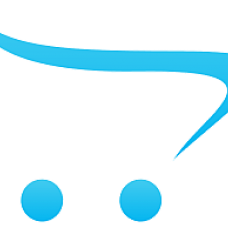 You have come to the best source for your squads cheerleading uniforms. We have a huge selection of any type of cheer uniforms you want. We have stock cheerleading uniforms, custom cheerleading uniforms & cheerleading uniform package deals at prices & delivery times that can't be beat. Whether you need cheer uniforms quick or you can wait a little longer to get beautiful custom cheerleading uniforms, call us with you cheerleading needs & we can put together a custom cheerleading package deal made especially for your squad. Everyone who has ever been a cheerleader or a cheerleading coach knows what a daunting task it can be to find the perfect cheerleader uniforms for your squad. It’s downright hard, and there is more to it than simply selecting a color. Fit is a major consideration. You must keep in mind the routines you will be using and the difficulty of your stunts and jumps. Cheerleaders must be able to perform their routines properly and be comfortable in their uniforms but should not have to sacrifice their appearance for it. There are factors that you need to keep in mind when shopping around for your cheer uniforms. First is fit. Proper fitting is important for cheerleading uniforms. If a uniform doesn’t fit properly, it may hinder the cheerleader in executing their routine properly. Next would be representation. A good cheerleading uniform should accordingly represent your squad and the school or team you are cheering for. The third factor to consider is comfort. A comfortable cheerleader is a cheerleader who gives it her all and cheers to the best of her ability. 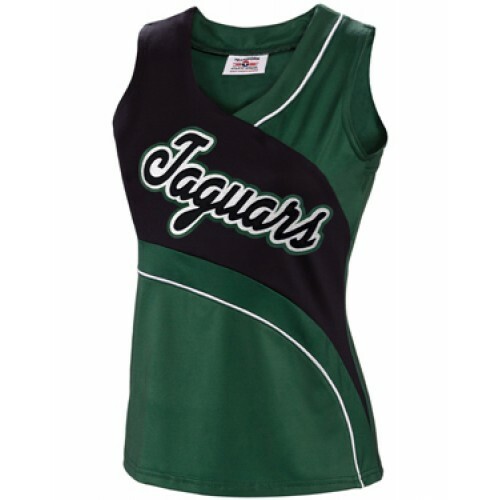 Quality of fabrics goes along with comfort of your cheer uniforms. It is very important that a cheerleading uniform has flexibility. This is the key point of having cheerleading uniforms in the first place. A flexible uniform will allow your body free movement that is vital for cheerleading and all of the stunting that goes along with it. Lastly is the design of your cheerleading uniform. A creatively designed uniform is not too flashy and not boring or plain but having just the right design that will catch the attention of your audience. It should match the personality of your team and incorporate your team’s colors with adding the right amount of flair. The right cheer uniforms are essential for having a great cheerleading experience. Custom cheerleader uniforms would be the optimal route to go to get just the look you want, but if your budget or time does not allow Cheer Etc. offers a large selection of in-stock cheer uniforms. Adding customization of your team or mascot name can do just the trick to making a simple in-stock cheer uniform look unique! You can even get a package deal with in-stock cheerleading uniforms. Does your cheer squad want sublimated cheerleading Uniforms? Call us at (877) 898-8873 for more information on how you can design them online! Check out our online uniform creator for custom sublimated cheerleading uniforms. Made of 100% knit polyester with a sweetheart neckSide v-notches for greater performance flexibility..
100% knit polyester Stretch backLeft side zipper9 color combinations to choose from.Available i..